Tencent’s latest mobile MMO Perfect World has already blown past chart-topper Honor of Kings. Sensor Tower reports that, in the 22 days after launching on March 5th, the Chinese publisher’s latest hit has already earned $100 million in player spending on just the Apple App Store alone. The mobile intelligence firm does not track third-party Android app stores in China. Perfect World has managed to keep Tencent stablemate Honor of Kings off the top spot longer than any other title in the last two years. Minus a slip up on the 26th, Perfect World has held number one grossing position on China’s App Store since March 10th. The MMORPG has brought in a daily average of $4.5 million in player spending since launch. In comparison, Honor of King’s first 22 days saw it net $4.2 million in total. 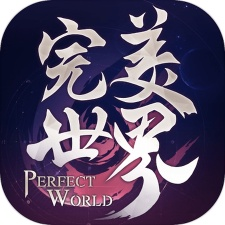 Perfect World has been downloaded roughly 3.3 million times so far, averaging at around $30 per download. It’s all well and good comparing Perfect World to Honor of Kings, but the reality is that Tencent may soon own yet another colossal Chinese mobile hit. Honor of Kings has more than done its job, earning over $4.5 billion since launching in 2015, and it continues to rake in the cash. You can learn more about the Asia market on the East Meets West track at Pocket Gamer Connects Seattle on May 13th to 14th. Alternatively, you can head to the region yourself for Pocket Gamer Connects Hong Kong on July 17th to 18th.